Steven Wright  the man with the monotone  a prototype comedian that others are sure to follow. His delivery is deadpan, his manner stoic, and he's the hottest act to catch today, if you can find him when he momentarily lapses into reality. In appearance, Wright's lifestyle hasn't changed much, although his career has really taken off. In a shorter time than most, he expanded his comedy collection to include an album, video, film and television appearances. His 1986 debut album "I Have A Pony," earned him a Grammy nomination and nods from the music industry. He quickly followed this with several video showcases on HBO including his own special "On Location: Steven Wright." He took part in the "Young Comedians Special" with Robin Williams, Richard Belzer, Harry Anderson and Howie Mandel. 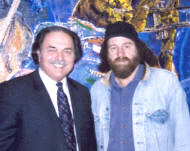 In 1989 Wright was awarded an Academy Award for writing and starring in the short film, "The Appointments of Dennis Jennings." It seems obvious that comedians are the people to watch in the entertainment industry as they cross over to all mediums with success. PBS honored comedians with a half-hour anthology series starring Steven Wright, Tim Matheson and Catherine O'Hara. Steven's talents also grace the big screen. He appeared in the 1986 blockbuster "Desperately Seeking Susan" starring Madonna and the Columbia Pictures' film "Stars and Bars" starring Daniel Day Lewis and Harry Dean Stanton. After his initial appearance on the "Tonight Show with Johnny Carson," he was immediately asked to return one week later  a phenomenon that had not been achieved by an unknown in more than ten years. His back-to-back appearances with the king of late night television put his career into high gear. The dour comedian soon found himself performing his off-beat routines on "Saturday Night Live," "Late Night with David Letterman" and numerous trips back to visit Johnny on the "Tonight Show." 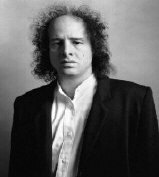 Although Steven Wright's success is now assured, the dry comedian keeps a modest outlook on his ability. As quoted in a Los Angeles Herald Examiner article, he claims, "My whole act is just a funny pack of lies." How true! And how hilarious! "The brain is a wonderful organ. It starts working the moment you get up in the morning and doesn't stop until you get to work." "I think I am a peripheral-visionary. I see into the future  but only on the sides." I think I've forgotten this before." Where would you put it?" "I saw a bank that said '24 Hour Banking', but I don't have that much time." "I had a friend who was a clown. When he died, all his friends went to the funeral in one car." "I've been doing a lot of abstract painting lately, extremely abstract. No brush, no paint, no canvas, I just think about it." "For my birthday I got a humidifier and a de-humidifier... I put them in the same room and let them fight it out. Then I filled my humidifier with wax, and now my room is all shiny." "I wrote a few children's books... Not on purpose." "When I was a baby, I kept a diary. Recently, I was rereading it. It said, "Day 1 -- Still tired from the move. Day 2 -- Everybody talks to me like I'm an idiot." "It doesn't matter what temperature the room is, it's always room temperature." Steven Wright may be available for your next special event! Booking Steven Wright: Professional inquiries only. seeking the Steven Wright booking agent for corporate entertainment or for a private party. Consider the opportunity to book Steven Wright or other entertainers for a wedding, birthday, anniversary, business meeting or convention. If you are not a talent buyer, we are unable to provide Steven Wright manager or management contact information. Consider this your official Steven Wright booking agency web site – The booking agent who works for you! does not claim or represent itself as the exclusive agent, representative or management of Steven Wright. Steven Wright, comedian - booking agent. This artist may be available for your next event. Book him if you can. You will have the time of your life!